Sara Meadows is an ambitious attorney who helps her mining-company client make billions, even if she has to bulldoze an ancient monastery and blackmail the opposition. Unsavory, true, especially since she once dreamed of a PhD in art history, but soon she’ll make partner at an elite firm. Not bad for someone raised on food stamps. 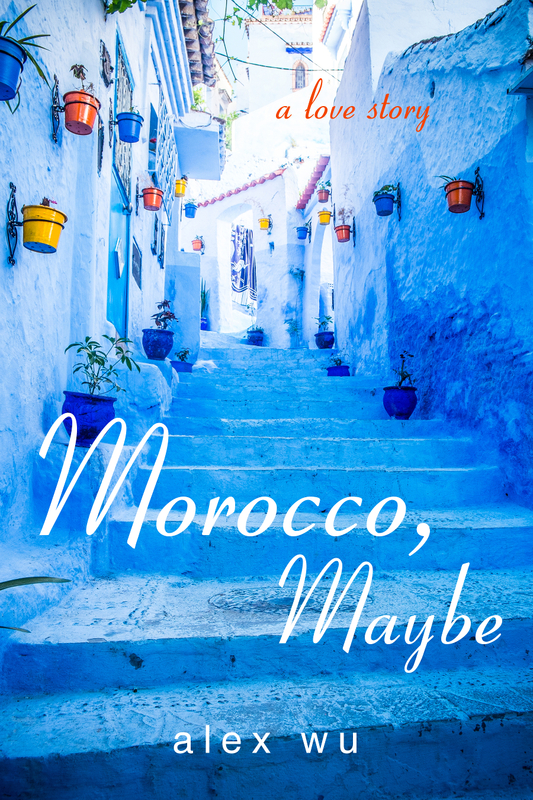 A vacation to Morocco shouldn’t screw up anything. Backpacking through Morocco, Sara meets an archaeologist who seems everything she is not: idealistic, spontaneous, and as down-to-earth as his digs. They explore fabled kasbahs and medieval medinas, sharing tales under Saharan skies. Over sips of mint tea, the two discover a mutual passion for history. And fall in love. Sara’s newfound happiness would be perfect but for one tiny detail: the priceless monastery she’s demolishing is the same one the archaeologist is desperate to save. Navigating unexpected detours is hard enough. Betraying someone she loves is harder. The hardest part? Mustering the courage to defy her head and follow her heart. Not with a chokehold around his neck. Not when the vise tightened by the second. And certainly not while fists hammered his head like a nail. He clawed at the arm crushing his throat but failed to loosen anything except his own grip on consciousness. As his world dimmed, stars sparkled where there shouldn’t be any. The assailant, too strong. He, too weak. In a flash, he saw a limp female figure being carried away by another person, someone he trusted. She should be all right, he thought. He surrendered, letting himself go slack. The assail­ant shoved his face into the asphalt. A crimson pool fed by his mouth formed around his cheek. With every shal­lower breath, life seeped out. Days ago, he was living an unexpected happiness with the woman he loved. Then the idyll broke. His rosy future became no more real than a Saharan mirage. Now he faced death in a foreign land. Might as well. He had already evaded the end for far too long. When a kick slammed into his temple, the light flicked off. Arabic calls to prayer warbled through a haze to rouse the man in bed. Nearby, a TV chattered. The stench of sickness and disinfectant clashed in the air. “Water,” he croaked, eyes still shut. Someone propped up his head and held a cup to his swollen lips caked with blood. He sipped the water, which tasted like earth. “Where am I?” he asked in cracked words. Just saying that sentence exhausted him. “Sara?” he asked with an energy renewed by hope. Before he heard the answer, a scarlet pain blazed through his skull. He groaned, fading back to black. In a gallery with paintings, sculptures, and photographs, a woman’s face stole my attention. I approached her, reeled in by the gaze of her emerald eyes. On a video screen, her face was trapped in an endless loop, morphing from normal to abstract then back to normal. A placard identified this artwork as Shifting Visages by Sahra Azizi. Her name was like mine but with an H.
A tall man next to me remained still and silent, also captivated by the video. It was part of an exhibit called Art Behind the Burqa—Imaginations of Contemporary Afghan Women. His calm words ironed the fluster out of me, so I smiled. Bashfully. “Stories connect us,” he said, “because they touch us a little deeper here.” He patted his heart. I gawked at him. No one had ever, in a handful of words and gestures, described exactly how I felt about an artwork. Not sure how to respond, I simply nodded. Outside an expansive window, neon streams of cars wound through the 405, the busiest freeway in Los Ange­les. The glowing view was a masterpiece of art in itself. With an outdoorsy complexion, scruffy brown hair, and faint stubble, the stranger appeared out of place at this fancy gallery. He tugged on his crooked bow tie. His strapping frame squirmed under a too-tight tuxedo. “Not your preferred attire?” I asked with a light tone to lift the heavy mood. “Well … I’d be lying if I said the glamour didn’t seduce me. It makes me feel lucky.” If overly plump and privi­leged. “My firm sponsors this event, so I have to do my duty—pretend I care about art, injustice, poor people, blah blah blah.” I rolled my eyes and waved my glass of Pinot Noir. “You know, stuff that makes rich people feel better about themselves.” I punctuated the end of my sentence with a wry smile. An event staffer approached him and whispered into his ear. He nodded. The gala’s program listed a Provence wine tour, a Morocco luxury trip, and a Bora Bora yoga retreat. “What would you bid on?” I asked while toying with my earring. Why did I care about his opinion? “They’re fake pearls,” I said, not sure why I volun­teered the truth. “That’s why I like them.” He winked then strode off. The Getty Center, perched on the Santa Monica Moun­tains, was one of my favorites because of its enviable art collection. The place was a modernist sculpture, with angles and curves formed out of glass, sunlight, and trav­ertine. Tonight it hosted the first fundraiser for the Institute of Modern Afghan Art. I left the art gallery and passed through an airy rotunda soaked with sun. I stopped at the threshold to the courtyard. Before me, a sea of black tuxedos glittered with couture gowns covering every color of a crayon box. Jazz floated out of a saxophone to dance in the perfumed air. I retreated a step, imagining a hush and everyone frowning at me like I crashed the party. I checked my new Marchesa dress to make sure it hadn’t turned into Cinderel­la’s rags and reread my seating card. Sara Meadows, Table 23, the card reassured me. I took a big breath, smoothed my dress, and waded into the crowd. “Would you like some Aushaks, ma’am?” a handsome waiter said, offering the Afghan appetizers on his tray. “Steamed dumplings with leeks and chives, and glazed with mint yogurt sauce.” He was probably a struggling actor, a demographic outnumbering Republicans in blue L.A.
“Thanks.” I snatched one. Delicious. My fiancé turned around. “No worries,” Nathan said. “We must go talk to Steve. He’s a managing director and a huge player at my firm.” That would be Alcatraz Capi­tal, an elite private-equity firm that specialized in buying distressed companies, turning them around, and selling them. “Sure.” Small talk was a chore, but it had to be done for career advancement. I pulled up my strapless gown, whose high empire waist was supposed to hold up the goods better. At least that was the pitch the saleswoman gave me before I bought the overpriced dress. Nathan escorted me by the elbow to lead us toward Steve. With his hair a distinguished silver, the managing director exuded quiet authority when he shook my hand. “You didn’t tell me you were engaged to a movie star?” he said before glancing at Nathan. Cheesy flattery delivered with effortless charm. No wonder Steve rose to be a heavy hitter. I smiled self-consciously, not sure how to hold my champagne flute anymore. “What kind of work do you do?” Steve asked. “I’m an associate in Huntington Blake’s Government Practices Group,” I said. As the men’s conversation turned to the Federal Reserve’s bond purchasing program, I thought about the video again as if its story still held me hostage. For dinner, we sat at a terrace under the inky sky. The emcee wore a vintage blue strapless, tasteful yet deca­dent enough for a wink of tart. “After dessert we’ll have the live auction to benefit the scholarship fund,” she said as waiters served arugula and pear salads. “Has anyone seen the art exhibit yet?” I asked the guests at my table. Their blank looks answered my question. “I’m going to Augusta next week,” John said. The exclusive golf club in Georgia hosted the Tournament and didn’t admit women until a few years ago. The men continued to fawn over John as if he were flying to the moon. I finished my meal in silence, wishing golf had never been invented. I wiggled Nathan’s arm. “Hey, you wanna go see the exhibit with me—” The apathy in his eyes punctured my enthusiasm. He had as much interest in art as I had in mortgage-backed securities. “How about a vacation,” I joked. “That’d be pricey.” We both worked gulag-like hours and had never taken a long trip together. I expected him to say no. I drew a blank. “Tell you what. I’m going back to the exhibit. Surprise me. Maybe something adventurous.” Why did I say that? Adventurous was so not me. I’d been doing yoga for years, and Nathan loved wine. Obviously he would bid on the yoga retreat or the wine tour. That was why I was marrying him, the three Ps: pragmatic, predictable, and prudent. Like me. The audience erupted with applause. I glimpsed back at the stage and froze. Him! The emcee hugged him, if too tightly and too long. “He can dig for my treasures any day,” a woman quipped at a nearby table. “I’ve got some relics for him to uncover,” said an older brunette in a prim dress. Other women joined the drunken chorus to sing fresh praises for the archaeologist. Ridiculous. I headed to the gallery, leaving the brouhaha behind. When I returned to Nathan, the gala’s program had ended. The attendees were dancing to Frank Sinatra, surrounded by hanging vines of silvery-blue lights that reminded me of fireflies. I kicked off my four-inch heels, which turned out to be completely invisible under my long dress. My feet finally happy, we danced too. “What?” I said, leaning against his chest. “Really?” I pictured the two of us cycling through the French countryside or swimming in the turquoise waters of Polynesia. Either way, it couldn’t go wrong. Fantastic venue. Famous guests. Fine food. Ending with a slow dance to romantic music under the moonlight. What was there not to like? For someone who grew up on food stamps, I overachieved. Sure, I didn’t quite fit into the club, but I had to be patient. If I try hard enough, I will fit in. Someday. In the recesses of my mind, the acid-scarred artist haunted me, and I harbored a regret that I would never see the stranger again. “I get you,” his words replayed in my head. In those three syllables, I heard his nod and smile. I evicted the stranger and hugged Nathan closer, letting his warmth compensate for my skimpy dress. “I had a great time,” I said at last. This is what I want. Right?